Nena von Schlebrügge on the cover of Vogue Pattern Book, Autumn 1960. Image: eBay. In honour of Mother’s Day, this models post is devoted to a mother and daughter who both modelled for designer sewing patterns: Nena von Schlebrügge and Uma Thurman. Nena von Schlebrügge (b. 1941) was born in Mexico City to German-Swedish parents who had fled Nazi Germany. In 1957, two years after she was discovered by Norman Parkinson, she moved from her native Stockholm to London to pursue modelling, later moving to New York to sign with Eileen Ford. 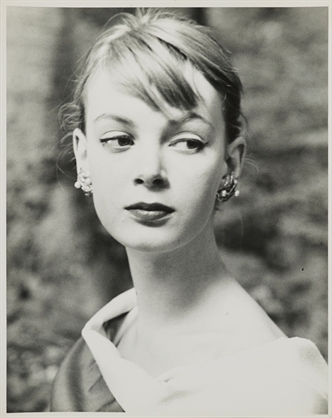 Nena von Schlebrügge, first test shots, Stockholm, 1955. Photo: Norman Parkinson. Image: artnet. Nena von Schlebrügge appears on a number of Vogue Pattern Book covers and Vogue patterns from the late 1950s and early 1960s. Vogue 1472 by Yves Saint Laurent for Christian Dior (1959). Image: Vintage Patterns Wiki. 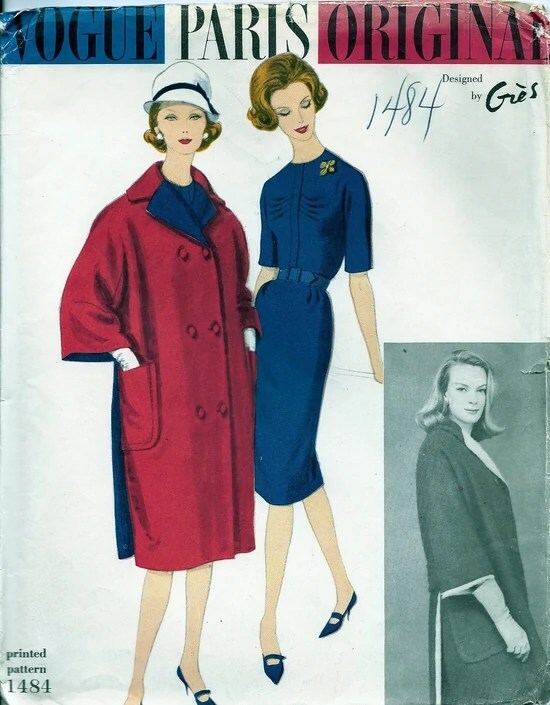 Vogue 1484 by Grès (1960) Image: Vintage Patterns Wiki. Detail of Vogue 1484 by Grès (1960) Image: Etsy. Uma Thurman (b. 1970) is the daughter of Nena von Schlebrügge and her second husband, Robert Thurman. Born and raised in Massachusetts, Uma Thurman dropped out of her prep school there to pursue acting in New York City, where she worked as a fashion model before landing her breakout roles in Stephen Frears’ Dangerous Liaisons (1988) and Terry Gilliam’s The Adventures of Baron Munchausen (1988). Uma Thurman in Geoffrey Beene, British Vogue, December 1985. Photo: Patrick Demarchelier. Image: Vogue UK. Simplicity 8054 by Cathy Hardwick (1986) Image: Etsy. Simplicity 8055 by Cathy Hardwick (1987) Image: Etsy. Nena von Schlebrügge later became a psychotherapist and director of Tibet House and the Menla Center; Uma Thurman is an Academy Award nominee for her role in Pulp Fiction (1994). Thurman’s presence is already evident in her Simplicity patterns. Isn’t the family resemblance striking? Fascinating! I didn’t even recognize Uma on the sewing patern envelopes. I still don’t, but wow do I learn a lot from reading your blog. Thanks for always writing posts that allow me to learn about sewing history! I always thought that model might be her mother; the resemblance is striking. Both have graceful necks. I have all VPBooks from 1964 on and Nena Von worked for VPbook and Vogue knitting frequently. Thanks for doing the homework. I didn’t know any of this – it was so interesting. Really only came across Uma in Kill Bill – so loved her yellow track-suit and trainers (which featured in the V&A Hollywood exhibition last year). Thanks for this fascinating information. I came across Uma in Dangerous Liaisons and when she made a splash in the lilac chiffon Prada gown at an awards ceremony many years ago. It’s the gown that stuck in my mind more than the film. Her mother is so ethereally gorgeous! Amazing to consider that Nina v S was only 19 when she posed for that 1960 cover of VPB. Such presence and sophistication … This is such a fascinating post – thank you!